Is it possible to copy layers between slides? I can't seem to find a way of doing it. I'm trying to create a standard 'answer' layer which is more or less a template which I change very minimally on each of a number of slides. At the moment I'm having to set up the same layer individually from scratch on each slide as I can't work out how to copy the layer from another slide. Not totally sure, but it sounds as if you just want to set your "feedback master," which is on the upper left of the panel by "slide master." Those layers are totally customizable. The way I do it is to go to the layer I want to copy, and select everything on that layer by clicking outside of the screen and dragging to select everything in the screen. Then I copy that and paste it onto a new layer on the other slide. Everything, including the triggers, will copy across. There may be an easier way? Hi, Fiona: To select everything, I usually do "control" and "A" key. A bit safer than dragging, I think. tried this technique with one of my projects and although I select everything on a layer and paste it on another one, I get the objects but no trigger is pasted at all. If the triggers are o objects then they will copy if the are on the layers they will not. I have for some time now created timeline start triggers on objects instead of layers so i can copy and paste them between layers. Great ideas, although directly copying the slide layer would be a bit faster, this works well. If anyone is still looking for this, select layer and copy, move to new slide and paste. Layer triggers, objects, and object triggers copy. Decided that I wanted to add a credits "page" that must be viewed whenever the user exits the course - but wanted users to return to the last viewed slide when they resumed. Created a feedback master layer that had the credits information. Added a new layer to the first slide and then used this copy and paste technique to add the "Exit" layer to all other slides. Thanks Walt - you saved me so much time! It is easy to miss the obvious. Glad that Walt was able to assist you here Liz. Thanks for popping in to share your solution. 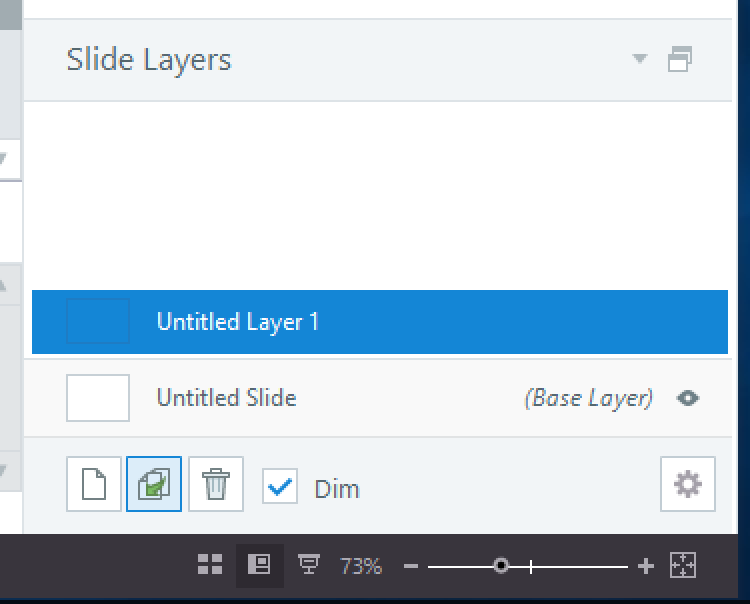 What happen to the "copy Layer" button in Storyline 3. I don't see it. You should see the Duplicate Layer option. Do you see that in your software? You can also use Ctrl + C to copy the layer selected. You can check out the details in our documentation here. 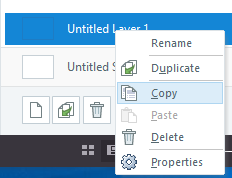 You can still copy a layer by right-clicking the layer and selecting Copy. Then, you can paste the layer on another slide. That is what I do for SL3, now that the copy layer button has been removed. Not a major issue. "If anyone is still looking for this, select layer and copy, move to..."
"If the triggers are o objects then they will copy if the are on the..."